The price hike becomes normal in the auto industry of Pakistan during last 12 months or so and there are many manufacturers, who have increased prices of vehicles many times last years and now United Motors has increased the prices of their vehicles. The company has confirmed that the prices of their vehicle, Bravo, 800cc hatchback has been increased by Rs.45,000. Many auto manufacturers called this price increase as unfair but the devaluation of rupees has forced them to do so. First Ever United Bravo Price Hike. There are many other manufacturers, who have increased the prices of their vehicle but United Bravo decided not to charge extra amount to people, who have already made the full payments and they are waiting for delivery of the vehicle, Bravo. This is the notable decision of United Bravo as many manufacturers, who send out the notice of increased prices and ask the people to get latest price tag instead of price at the time of placing order. 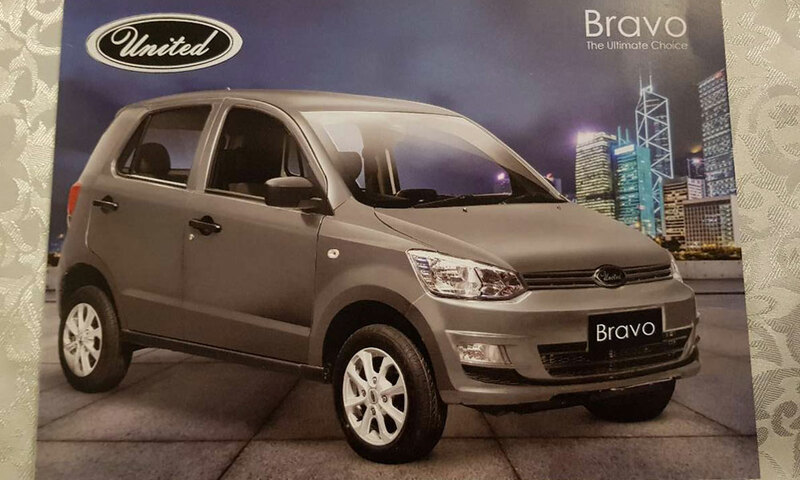 The quality of United Bravo has remained under consideration for some time and at the time of launching of the vehicle, many flaws have been highlighted like the unaligned backlights and poorly painted parts of the car.